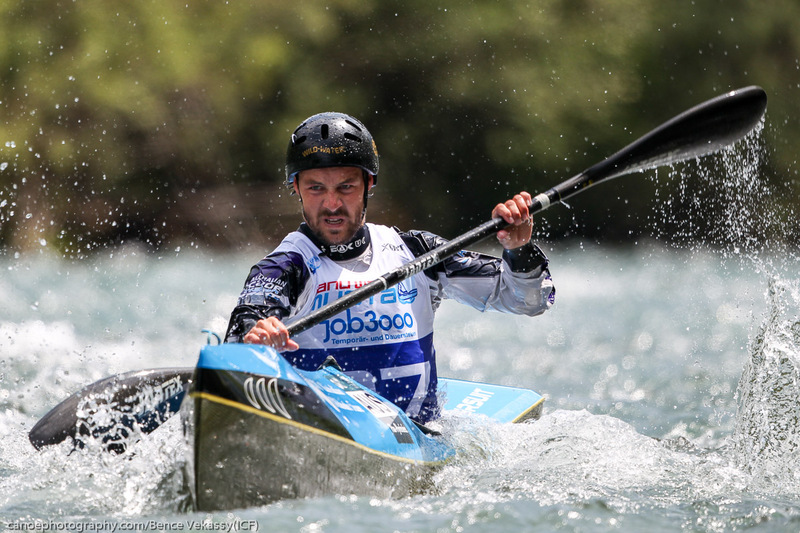 Following the ICF Wildwater World Championships in Switzerland the international wildwater season continued with the ICF Wildwater Worldcup 1&2 on the Vrbas River in Bosnia & Herzegovina. The final day of competition in Banja Luka on the Vrbas River in Bosnia & Herzegovina on Sunday saw the Sprint races with two of our Australian athletes Alex McIntyre (NSW) in the men’s K1 and Madison Wilson in the woman’s C1 making the finals. In the heats Alex produced a solid first run to be in 14th position in the field of 48 starters, while brother Robert was in a tie for 11th place. In the second run Alex again put down a consistent time similar to his first run to finish in sixth place and advance to the 15 man final as the 11th fastest qualifier. Unfortunately Robert had an error towards the finish line that cost him some additional seconds to finish in 28th position overall. In other Australian sprint results, Kaylen Bassett (VIC) had a solid first run to finish 30th. An improved second run time saw him finish the event in overall 22nd. In the final Alex again paddled very confidently and finished 11th, which was an excellent result. In the women’s C1, Madison Wilson, who was competing in her first senior World Cup, finished eleventh in her first run and improved on her second run to finish tenth and make the final of ten paddlers. In the final, Madison finished tenth after having executed a textbook Eskimo roll near the finish line. In the woman’s K1, Australia was represented with two competitors Dita Pahl and Genie Collin in the field of 26 starters. Genie had a solid performance in the first run finishing 12th, while Dita finished in 19th place. In the second run Genie placed 13th to finish 18th overall. In the second run Dita finished 17th and 22nd overall. Already on Saturday, the classic races took place with Madison Wilson finishing eleventh in the women’s C1, while Georgina Collin came 19th in the WK1. In the men’s K1 Rob McIntyre finished 25th, Kaylen Basset 32nd and Alex McIntyre 33rd in the 48 paddlers strong field.